Members of the Quilters' Guild of NSW Inc may need to arrive at the Office early on April 5, if hoping to see closely the clever designing and fine piecing work of member Catherine Butterworth. Catherine is the next presenter of this popular monthly Guild event, and she will illustrate her personal quilting journey with many of her wonderful quilts. 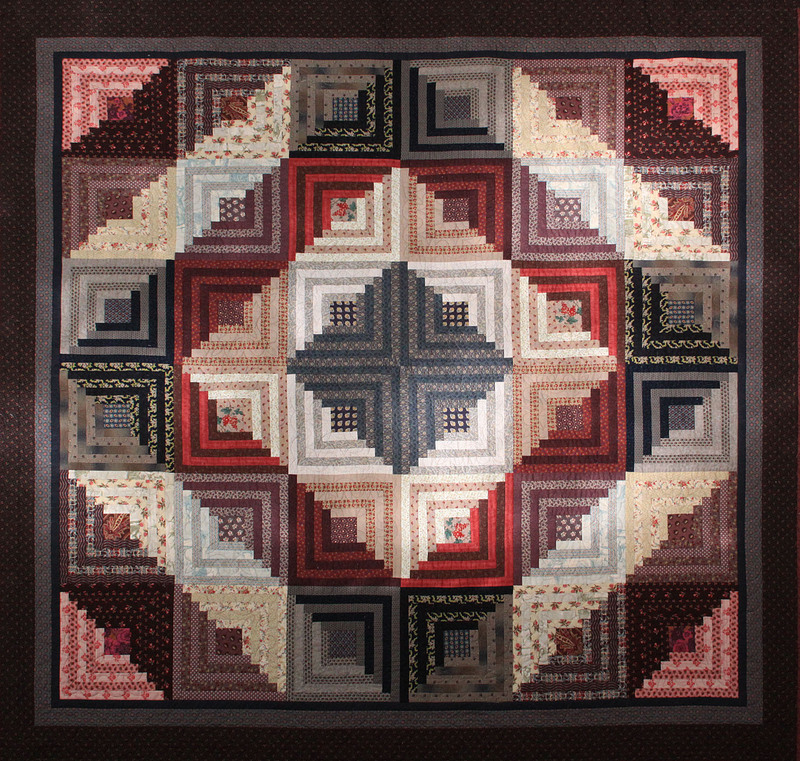 Like many quilters, sewing was an early hobby for Catherine, however she also had the advantage of the expertise and influence from other seamstresses and quilters within her family circle in Ohio. Whilst the patchwork "bug" pulled strongly from the 80's, the familiar story of work and family commitments kept Catherine from indulging too seriously, however in the past 10 years or so, Catherine has turned her passion into a teaching role, as well as designing and constructing many beautiful prize winning quilts. Her quilts are meticulously pieced and domestic machine quilted after playing with varied fabrics and designing blocks that usually show a "Traditional" and yet original, signature. Quilt Show: Goulburn this weekend.